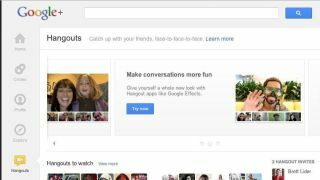 The attempts of Google+ to rival Facebook as a social gaming platform may be dead in the water after top developers EA and Wooga announced plans to remove their titles. The floundering social network only launched the Games page in August 2011, complete with marquee titles like Angry Birds and Zynga Poker. Now Wooga has pulled Monster World and plans to remove the Bubble Island and Diamond Dash games debuted alongside the platform. All of which have done very well on Facebook. "We decided to remove certain games from Google+ because we have a much larger following on Facebook and they are active users," said a Wooga spokesperson. Ouch. Likewise, PopCap, which is now owned by Electronic Arts, will remove the Bejewelled Blitz title by the end of the week. A spokesperson for that company said: "PopCap has decided to suspend Bejeweled Blitz on Google+ to redeploy our resources to other adaptations of Bejeweled. "Certainly, Google is a valuable gaming partner for PopCap and EA, and we'll continue to develop for Google platforms." Well, that's certainly a nicer way to put it. Google+ users still have over forty games at their disposal, but it seems that everyone interested in playing social games is doing so where it's, you know, possible to be social.